The name of this organization shall be the Pringle Creek Watershed Council. 1. 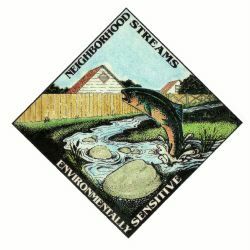 The purpose of the Pringle Creek Watershed Council is to function as a local volunteer watershed council consistent with the provisions of ORS 541.388 and to involve the local community in the stewardship of its watershed and attendant natural resources. Focusing on results, this involvement is aimed at development, implementation and management of a sustainable plan to enhance, restore and maintain watershed health while balancing a variety of environmental, social and economic interests within the watershed. The Council will assess the condition of the watershed and its natural resources; educate and promote awareness about watershed functions; engage community participation whenever possible in issues of watershed health; foster common watershed goals; develop a watershed action plan; facilitate watershed improvement projects; and monitor and report results. The Council will form partnerships with local schools and Oregon colleges and universities for educational purposes and with other entities working to support this purpose. SECTION 1. ELIGIBILITY. Any person or persons supporting the purpose of the Pringle Creek Watershed Council (PCWC) and living within the watershed or representing a group, business or organization active within the watershed may register to become a member of the PCWC by attending any regular meeting and providing basic registration information. Regular Members. Any person actively interested in furthering the purpose of the PCWC may become a regular member upon registration. All Members of the Board of Directors, Officers, Executive Committee Members, Committee Members, and other elected or appointed officials must be active Regular Members. Board of Directors. Any person may be elected as a Member of the Board of Directors by majority vote of all Regular Members present at any duly held Annual Meeting of the PCWC. Vacancies between Annual Meetings may be filled by a majority vote of the remaining Board of Directors. Primary watershed interest groups will be afforded representation on the Board of Directors with seats for two members each from the following seven categories: Academic/Educational, Business/Economic, Environmental, Municipal/Governmental, Residential/Property Owners, Scientific/Technical Advisory, and Other/General Interest. In addition, each of the Neighborhood Associations within the watershed shall be afforded representation on the Board of Directors. Executive Committee Members. The Executive Committee shall be elected from the sitting Board of Directors into the positions of President, Vice President, Secretary and Treasurer. SECTION 3. SUSPENSION OR TERMINATION. Membership may be terminated by resignation or by action of the sitting Board of Directors with a two-thirds vote at any duly constituted meeting. The Board of Directors shall have the authority to suspend or terminate membership of any Member when the conduct of such person is considered detrimental to the best interests of the PCWC. For Members of the Board of Directors and the Executive Committee, such conduct shall specifically include, but not be limited to, missing three consecutive meetings. The Member involved shall be notified of such meeting, informed of the general nature of the charges and given an opportunity to appear at the meeting to answer such charges. SECTION 1. DEFINITION. A General Membership Meeting is any meeting of the entire membership of the PCWC. The membership of the PCWC shall meet periodically and at least annually to elect representatives to the Board of Directors and to conduct such other business as may be referred to it by the Board of Directors. SECTION 2. NOTICE OF GENERAL MEMBERSHIP MEETING. Notice of each General Membership Meeting shall be delivered personally, electronically, or by mail to each Member at the last recorded address at least three (3) days in advance of the meeting, setting forth the place, time, and purpose of the meeting. Notice also may be given in alternative forms as authorized by Members at a regularly convened General Membership Meeting. SECTION 3. QUORUM AND VOTING. A quorum for a general membership meeting will consist of those Regular Members present. Only Regular Members shall be entitled to make motions and vote at General Membership meetings. However, the sitting Board of Directors may invite, admit, and recognize guests for presentation or comments during General Membership meetings. SECTION 4. RULES OF ORDER. Robert's Rules of Order shall govern the proceedings of all General Membership meetings, except where such conflicts with these bylaws. SECTION 5. ABSENTEE AND PROXY BALLOTS. There shall be no absentee or proxy balloting. SECTION 6. ANNUAL MEETING. The Annual Meeting of the PCWC shall be held on a date, time, and place so designated by the Board of Directors each year for the purpose of registering new Members, electing the Board of Directors, receiving reports, reviewing the Bylaws, appointing committees, and for the transaction of such business as may properly come before the Membership. the names of persons who have become Regular Members of the PCWC during the year. This report shall be filed with the records of the PCWC and entered into the minutes of the proceedings of the Annual Meeting. portion of each meeting will be set aside for public comment. SECTION 7. SPECIAL GENERAL MEMBERSHIP MEETINGS. Special General Membership meetings may be called by a majority of the Board of Directors, by the Executive Committee or by the President at their discretion. Upon the written request of a majority (50 per cent plus one) of the sitting Board of Directors, the President shall call a Special General Membership meeting to consider the subject specified in the request. No business other than that specified in the notice of the meeting shall be transacted at any Special General Membership meeting. Such Special General Membership meeting shall take place within thirty (30) days after the request is received by the President. SECTION 1. DUTIES. The management of the property and affairs of the PCWC shall be vested in the Board of Directors. SECTION 2. NUMBER OF DIRECTORS. The maximum number of Directors is 20 based upon the number of primary watershed interest groups. The number is set at the Annual Meeting. The number may be increased by a majority vote of all Regular Members present at any General Membership meeting or Special Membership meeting called for that purpose. SECTION 3. ELECTION OF DIRECTORS. The Board of Directors shall be elected at the Annual Meeting and shall assume the performance of its duties on the next regularly scheduled PCWC Board of Directors meeting. A Board of Director's term of office shall extend for two years. There are no term limits. One of the representatives from each of the stakeholder categories shall be elected on an even numbered year, and the other on an odd numbered year. Representatives of the Neighborhood Associations shall be seated annually, based upon selection by their respective Neighborhood Associations. Vacancies between Annual Meetings may be filled by a majority vote of the remaining Board of Directors. If the number of Directors is increased, the additional Directors may be elected at the meeting at which the increase is voted, or an any subsequent General Membership meeting. All elections of additional Directors shall be by a majority vote of all Regular Members present at the election meeting. SECTION 4. RESIGNATION OR REMOVAL OF DIRECTORS. c. removal shall require two-thirds vote of the current Board of Directors at any duly constituted meeting. SECTION 5. VACANCIES. If a vacancy occurs on the Board of Directors, it may be filled by a majority vote of the remaining Board of Directors at any regular Board of Directors meeting or at any Special Board of Directors meeting called for that purpose. SECTION 6. BOARD OF DIRECTORS MEETINGS, NOTICE AND QUORUM. Regular meetings of the Board of Directors shall be held monthly at a date, time and site determined by the Executive Committee. The President may, whenever deemed advisable, or at the written request of one-third (1/3) of the sitting Board of Directors, issue a call for a Special Board of Directors meeting. Such notice shall include the agenda of the meeting and no matters not so stated may be acted upon at the special meeting. Notice of each Board of Directors meeting shall be given by the Secretary personally, electronically, or by mail to each member of the Board of Directors at least three (3) days before the time appointed for the meeting. Notice will be sent to the last recorded address of each of the members. A majority (50 per cent plus one) of the sitting Board of Directors shall constitute a quorum for the transaction of business at a Board of Directors meeting. Any action required or permitted by these bylaws to be taken at a meeting of the Board of Directors may be taken in a meeting by telecommunication as long as the meeting by telecommunication is approved ahead of time by a majority of the sitting Board. All meetings will be conducted consistent with State of Oregon Open Meeting laws, and a portion of the meeting will be set aside for public comment. act as custodian of PCWC property and provide for its proper use, maintenance and conservation. SECTION 8. RULES OF ORDER. Robert's Rules of Order shall govern the proceedings of all Board of Director meetings, except where such conflicts with these bylaws. SECTION 1. AUTHORITY. The Executive Committee shall advise and assist the Board of Directors in all matters concerning interests in and the management of its affairs, and shall have such power as may be delegated to it by the Board of Directors, but in no event shall the Executive Committee have authority over the Board of Directors. SECTION 2. COMPOSITION AND ELECTION. The Executive Committee shall be comprised of a President, Vice-President, Secretary and Treasurer. The positions of President, Vice-President, Secretary and Treasurer shall be elected from the members of the Board of Directors by the Board of Directors at any duly constituted meeting. SECTION 3. VACANCIES. If a vacancy occurs on the Executive Committee, it may be filled by majority vote of the remaining Board of Directors at any regular Board of Directors meeting or at any Special Board of Directors meeting called for that purpose. SECTION 4. QUORUM. At any meeting of the Executive Committee, a majority of the total number of members then in office shall constitute a quorum for the transaction of business. SECTION 5. DUTIES AND POWERS. The Executive Committee may appoint such other officers or agents as it may deem necessary or desirable, and may prescribe the powers and duties of each. Appointed officers or agents shall have no vote on actions taken by the Executive Committee unless they have been elected to the Executive Committee by the Board of Directors. SECTION 6. RULES OF ORDER. Robert's Rules of Order shall govern the proceedings of all Executive Committee meetings, except where such conflicts with these bylaws. SECTION 1. AUTHORITY. The Officers of the PCWC shall include President, Vice-President, Secretary and Treasurer and these positions constitute the Executive Committee of the PCWC. Delegate duties and responsibilities not already assigned. assigned by the Board of Directors. perform such other duties properly required by or incident to this office or as may be assigned by the Board of Directors. SECTION 1. AUTHORITY. The Board of Directors may create any number of other Board Committees, each consisting of at least one director, to serve at the pleasure of the Board. The Board of Directors may adopt rules for the governance of any Board Committee not inconsistent with the provisions of these Bylaws. approve the dissolution, merger or the sale, pledge or transfer of all or substantially all of the corporation's assets. Any action required or permitted by these bylaws to be taken at a meeting of the Board of Directors of the Executive Committee may be taken without a physical meeting if (a) it is conveyed either electronically or in writing to all current members of the appropriate body setting forth the action so taken, and (b) is presented for ratification at the next regular meeting. accounting of the PCWC, and it shall place all income into a common treasury. SECTION 2. FISCAL YEAR. The fiscal year shall be July 1 to June 30. SECTION 3. COMPENSATION. No Officer, Director or Member of the PCWC shall receive directly or indirectly, any salary, compensation or emolument from the PCWC for services rendered as Officer, Director or Member. SECTION 4. MISUSE OF FUNDS PROHIBITED. No moneys, securities or properties under the control of the PCWC shall be loaned or otherwise disbursed to any Officer, Member of the Board of Directors, or other Member; except that the PCWC shall be authorized and empowered to pay reasonable compensation for services rendered and to make payments or distributions in furtherance of the purposes of the PCWC. The PCWC shall keep current and complete books and records of account, and shall keep minutes of the proceedings of its Members, Board of Directors Members, Officers and committees having any of the authority of the Board of Directors. The PCWC shall keep a register of the names and addresses of its Members. All books and records of the PCWC may be inspected by any Member or their agent or attorney for any proper purpose at any reasonable time. SECTION 6. PROCUREMENT POLICIES. The procurement of goods, services, equipment and materials shall be conducted according to written policies and procedures established by the Board of Directors. Each Member of the Board of Directors and each Executive Committee Member now or hereafter serving on the PCWC, and each person who, at the request of or on behalf of the PCWC, is now or hereafter serving as a Member of the Board of Directors or an Executive Committee Member and their respective heirs, executors, and personal representatives shall be indemnified by the PCWC against expenses actually and necessarily incurred by them in connection with the defense of any action, suit, or proceeding by reason of their being a Director, Officer, employee or agent of the PCWC. There will be no discrimination in any aspect of the PCWC with respect to gender, race, color, religious preference, age, sexual orientation, disability, creed or national origin. Any Member of the PCWC may appeal any action or decision by the Board of Directors, any Officer, or committee. A Member may present an appeal to the Board of Directors in person or in writing. The Board of Directors will consider the matter and provide a written response after the next scheduled meeting. b. designate the gift for some similar purpose by a two-thirds majority vote of the sitting Board of Directors. SECTION 2. UNDESIGNATED GIFTS. All undesignated gifts of money or property given to the PCWC shall become the property of the PCWC and shall be used at the direction of the sitting Board of Directors. SECTION 3. MANAGEMENT OF GIFTS. The Board of Directors shall receive and manage financial gifts, property and other donations. In the event of dissolution of The Pringle Creek Watershed Council, after payment of liabilities and obligations, all assets remaining shall be transferred to such other exempt organization(s) described in Section 501 © (3) of the Internal Revenue Code as the Board of Directors shall determine. These Bylaws may be amended, repealed, or altered in whole or in part by a majority vote at any duly organized meeting of the Members provided notice of the proposed change is included in the notice of such meeting. Copyright © 1999, 2000 to 2008 -- Pringle Creek Watershed Council-- All Rights Reserved.